Atlanta Clinical & Translational Science Institute (ACTSI) investigators Craig M. Coopersmith, MD and Greg S. Martin, MD, MSc were part of an international task force of experts convened by the European Society of Intensive Care Medicine and the Society of Critical Care Medicine to revise the definitions of sepsis and septic shock. Advances in the understanding of how sepsis develops, how it is managed, and how different people respond to it prompted the call to update the definitions. The findings of the task force were published earlier this year in the Journal of the American Medical Association (JAMA). Sepsis is the primary cause of death from infection, and a major cause of critical illness. It was defined in the report as “life-threatening organ dysfunction caused by a dysregulated host response to infection” or in other words, “a condition that arises when the body’s response to an infection injures its own tissues and organs.” The task force reviewed the available literature and large clinical databases over the course of one year to arrive at this definition and to develop simple and more accurate criteria for determining which patients have sepsis. To identify organ dysfunction in a critical care setting, the task force recommended using an increase in the Sequential Organ Failure Assessment (SOFA) score of two points or more, which is associated with greater than 10% risk of death in the hospital. To more rapidly identify patients not already in the intensive care unit (ICU) who may be at risk for death or a prolonged ICU stay, the task force developed the quick SOFA (qSOFA) criteria, which include elevated breathing rate, altered mental status, and low blood pressure. Septic shock was defined as a subset of those with sepsis who have additional circulatory, cellular, and metabolic abnormalities which increase the risk of death. The updated definition, denoted Sepsis-3, was the third major iteration of the sepsis and septic shock definitions since 1991. The Sepsis-3 definition is aimed at facilitating earlier identification of potential sepsis cases to allow for more timely management. “In addition to better patient care, the new definitions should also improve the consistency of how patients are classified and how data is collected for research studies,” said Coopersmith, professor of surgery, Emory University School of Medicine, and associate director of the Emory Critical Care Center. Read more about this work at the Emory News Center. The work was supported by a grant from the Society of Critical Care Medicine and the European Society of Intensive Care Medicine. Martin, professor of medicine, Emory University School of Medicine and director, ACTSI Clinical Research Network, previously received an ACTSI-Emory University Research Committee (URC) pilot grant for his project Characterization of Endothelial Progenitor Models in Clinical Sepsis: A Novel Prognostic Strategy in 2007-2008. “The ACTSI Pilot Grants program supported my research in sepsis which ultimately contributed to the enhanced understanding sepsis pathobiology underpinning these new definitions,” Said Martin. The ACTSI is a city-wide partnership between Emory, Morehouse School of Medicine, and Georgia Tech and is one of a national consortium striving to improve the way biomedical research is conducted across the country. 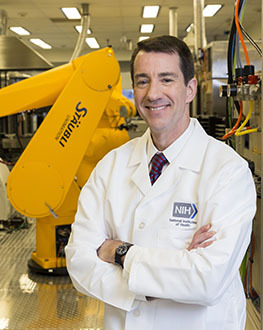 The consortium, funded through the National Center for Advancing Translational Sciences as one of the National Institutes of Health’s Clinical and Translational Science Awards, shares a common vision to translate laboratory discoveries into treatments for patients, engage communities in clinical research efforts, and train the next generation of clinical investigators.